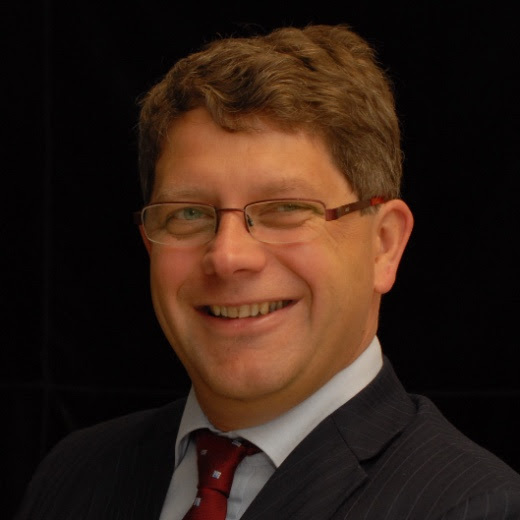 The Flanders-China Chamber of Commerce and The Conference Board are organizing the briefing: ‘How leading European companies are growing their China business in the face of international trade conflicts’. This briefing will take place at The Conference Board, 178 Chaussee de la Hulpe on Monday, 26 November 2018, at 15h30 in Brussels and will conclude at 18h00. • How international conflicts are changing the west’s business model in China – and how to win? 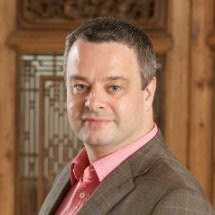 The meeting will include presentations of the latest research and analysis by The Conference Board, facilitated by Dr. Bart van Ark, EVP, Chief Economist and Leo Austin, Principal Advisor to The China Center for Economics & Business. The meeting will be conducted according to Chatham House Rules. 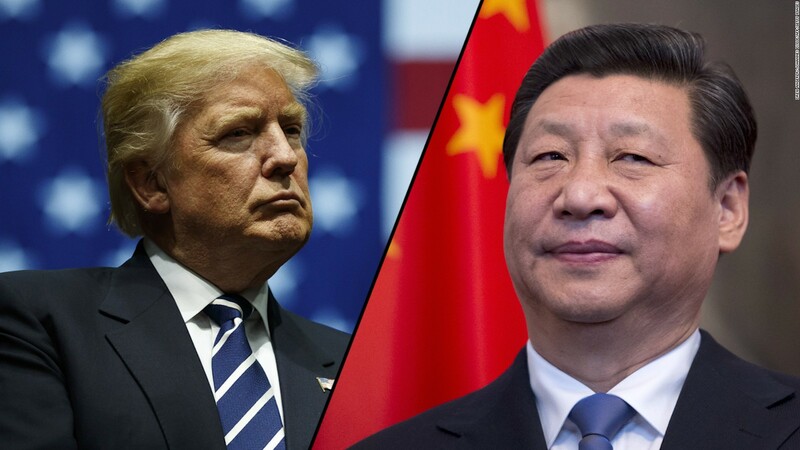 U.S. President Donald Trump and Chinese President Xi Jinping may have agreed to meet in the margin of the G20 Summit in Buenos Aires on November 30, but analysts doubt that their meeting would lead to a breakthrough in the trade war between the two countries. According to insiders, the White House is considering excluding trade from the agenda of the meeting. Some of Trump’s trade advisers do not want to engage with China on trade until Beijing shows it is serious about addressing the U.S.’s list of negotiating demands. Meanwhile, Chinese officials complain that they are not sure who they should be working with in the Trump administration. White House Economic Advisor Larry Kudlow told the Financial Times that Beijing had offered no sign that it was willing to meet U.S. demands in a way that could defuse tensions ahead of the meeting between the two presidents. Kudlow said the U.S. had given China “a detailed list of requests” but “the problem with the story is that they don’t respond. Nothing. Nada”. Some analysts expect that China will ultimately win the trade war as it holds all the key economic cards. China’s solid external position, its pivotal U.S. Treasury holdings and plentiful policy options to fall back on give Beijing a strong hand over the U.S. if China plays its cards right. Beijing could slash interest rates, unleash a weaker yuan and dump U.S. Treasuries in the open market. The U.S. might be buzzing with strong growth and full employment, but weak economic links remain. America’s twin black holes – the large budget and trade gaps – are getting worse not better, complicating its future policy choices. China keeps racking up bigger trade surpluses over the U.S. The latest data showed a USD34.1 billion trade gap with China in September, a rise of nearly 20% from a year ago, with no sign of improvement. The underlying trend is still rising with the annual U.S.-China trade deficit heading to over USD400 billion, nearly double what it was a decade ago. The U.S. Treasury may have concluded last week that China hasn’t been deliberately weakening the yuan, but it is “concerned” about its depreciation. These concerns are unlikely to abate. Markets may decide substantive arguments remain both for U.S. dollar strength and also specifically for continuing yuan weakness. The U.S. trade deficit with China, which has ballooned since 2001, is responsible for the loss of millions of American jobs, according to a new study by the Washington-based Economic Policy Institute. More than 3.4 million U.S. jobs have been eliminated since Beijing joined the World Trade Organization (WTO) 17 years ago and has added over USD100 billion to the trade deficit since 2008. About 1.3 million of the job losses have occurred in the last 10 years. The development “has contributed heavily to the crisis in U.S. manufacturing employment”, according to the report. It said the job losses have been concentrated in the manufacturing sector, including industries in which the U.S. has traditionally held a competitive advantage. The trade deficit with China has cost jobs in all 50 states and in every congressional district, and grew the most in the computer and electronic parts industries, the report said. Other hard-hit sectors include apparel, electrical equipment and appliances. The researchers said “the U.S.-China trade relationship needs to undergo a fundamental change”. Profit growth in China’s industrial enterprises slowed for the fifth month, weighed down by sluggish production and sales, as the economy faces mounting headwinds from the trade war with the United States. China’s industrial profits rose 4.1% in September from a year ago to CNY545.5 billion, slower than the 9.2% increase in August. China’s economy, which expanded in the third quarter at its slowest pace in a decade, is likely to slow further in the coming months, as the ongoing trade war with the U.S. takes its toll, according to Moody’s Analytics. After a delay of two years and a cost overrun of billions of dollars, the Hong Kong-Zhuhai-Macao Bridge was declared open by the Chinese President Xi Jinping at a ceremony attended by about 700 guests at the immigration clearance facilities in Zhuhai. The bridge is the world’s longest sea crossing. Chinese Vice Premier Han Zheng said the bridge would bring Hong Kong and mainland China closer in terms of economic and trade activities. Han and other officials, including National Development and Reform Commission Chairman He Lifeng and Guangdong Communist Party Secretary Li Xi, attended the ceremony, where the mega project was described as a sign of successful cooperation between mainland China, Hong Kong and Macao and a demonstration of China’s engineering capabilities. The bridge could withstand threats such as Typhoon Manghut. Construction started in 2009, and the bridge was originally due to open in 2016. The bridge will reduce travel time from Hong Kong to Zhuhai and Macao from four hours to about 45 minutes. 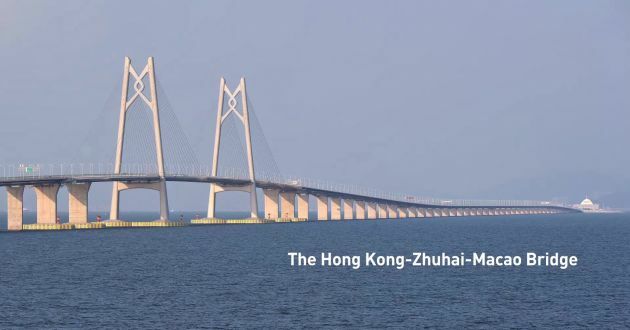 Mainly located in Chinese mainland waters, the bridge will be managed by the HZMB Authority, which was jointly founded by the governments of Guangdong province and Hong Kong and Macao in 2010. Vice Premier Han said it was the first time the three parties had worked together on a major infrastructure project. “It opens all three places up for greater exchange in economics and trade. It also enhances the competitiveness of the Pearl River Delta,” he added. In a 2008 consultancy study, 33,100 vehicles and 171,800 passengers were predicted to cross the bridge daily by 2030. But that estimate was lowered to 29,100 vehicles and 126,000 passenger trips in a 2016 study, down 12% and 26% respectively. Hong Kong Chief Executive Carrie Lam highlighted three cross-border infrastructure projects – the Guangzhou-Shenzhen-Hong Kong Express Rail Link, the Hong Kong-Zhuhai-Macao Bridge and the Liantang/Heung Yuen Wai Boundary Control Point, which will open early next year – and said each would help strengthen the integration between Hong Kong, Macao and mainland China. Lam said the bridge had provided a good foundation for the “Greater Bay Area” development – a technology-led economic hub comprising Hong Kong, Macao and nine mainland Chinese cities with the aim of rivaling California’s Silicon Valley. President Xi Jinping has said that China must become “self-reliant”, state media reported, as he toured the country’s manufacturing hub of Southern Guangdong for the first time in six years. He visited the precision moulding plant and a key laboratory at Gree Electric Appliances in Zhuhai. “To go from a big country to a strong one, we must give paramount importance to the development of the real economy,” Xi said during the visit. “Manufacturing is a key to the real economy, and the core strength of manufacturing is innovation, or the control of core technologies. We must seek innovation by relying on ourselves, and I hope all enterprises will work in this direction,” he added. President Xi also visited the pilot economic zone of Qianhai, and poorer areas of the province involved in his poverty alleviation program. He said that “no one would be left behind” in China’s drive to eradicate extreme poverty. 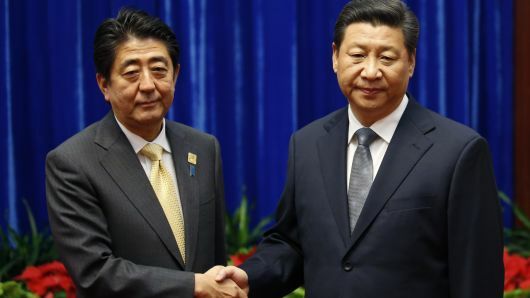 Xi hailed the free-trade zone (FTZ) policy as a “milestone” for a “new era” of reform in a message to a high-level forum marking the fifth anniversary of the opening of the country’s first FTZ in Shanghai. China has 12 free-trade zones, with the latest opening in Hainan in April. The United States does not plan to send senior government officials to attend the China International Import Expo (CIIE) in Shanghai from November 5 to 10, a U.S. Embassy Spokesman said. “We encourage China to level the playing field for U.S. goods and services. China needs to make the necessary reforms to end its unfair trade practices that are harming the world economy,” he said. However, nearly 180 U.S. companies have so far confirmed their participation in the event, although the U.S. won’t have a country pavilion. The CIIE will bring together thousands of foreign and Chinese companies, aiming to boost imports, allay foreign concerns about China’s trade practices and show readiness to narrow trade gaps. The CIIE has attracted over 2,800 companies from more than 130 countries and regions. China is expected to import USD10 trillion worth of goods and services in the next five years. China has said British Trade Minister Liam Fox will attend, while diplomats say most major trading partners will send delegations, including some that have been critical of its trade practices, such as Australia, Canada, France and Germany. Chinese President Xi Jinping is expected to speak at the opening ceremony of the Expo, which is expected to be held every year. China will also further streamline import and export procedures. By the end of 2018, the number of required documents to be verified will be reduced by more than one-third compared with 2017, and all verifications will be operated online except for documents deemed confidential, which will reduce the overall customs clearance time by one-third. In the first three quarters, China’s foreign trade volume remained stable despite the ongoing trade dispute with the United States. Goods trade increased by 9.9% year-on-year to CNY22.28 trillion. Preparations for the Expo are now in full swing. Expat community volunteers are reminding foreigners arriving in Shanghai that they must register their accommodation details at a police station when not staying overnight at a hotel. Random security checks at train stations have been increased and the Shanghai railway police have been reinforced with 800 colleagues from other provinces. There is also a citywide ban on the unauthorized use of drones, light and ultra light airplanes, light helicopters, gliders, airships, model planes, hot air balloons and tethered balloons from November 2 to 11. Traffic restrictions in areas of the Huangpu and Yangtze rivers have been put in place by Shanghai maritime officials. The mobile phone app Jinbohui Jiaotong (CIIE Traffic) provides information about buses, the metro, taxi services and parking, as well as the location of the 21 gates of the Expo center and the distribution of booths in the venue. The app will also provide the waiting times at taxi stands, bus and metro stations. Android phone users can download the app at www.jt.sh.cn. For iPhone users, they can find the app in the App Store.